Warning/Disclaimer: Do Not Use Your Knife As A Wand by flailing it around in the air. This would not be smart. You’re a wizard in the kitchen, and your knife is your wand. And, much like using a wand, it’s all in the wrist. Let’s see just how similar using magic and cooking are. 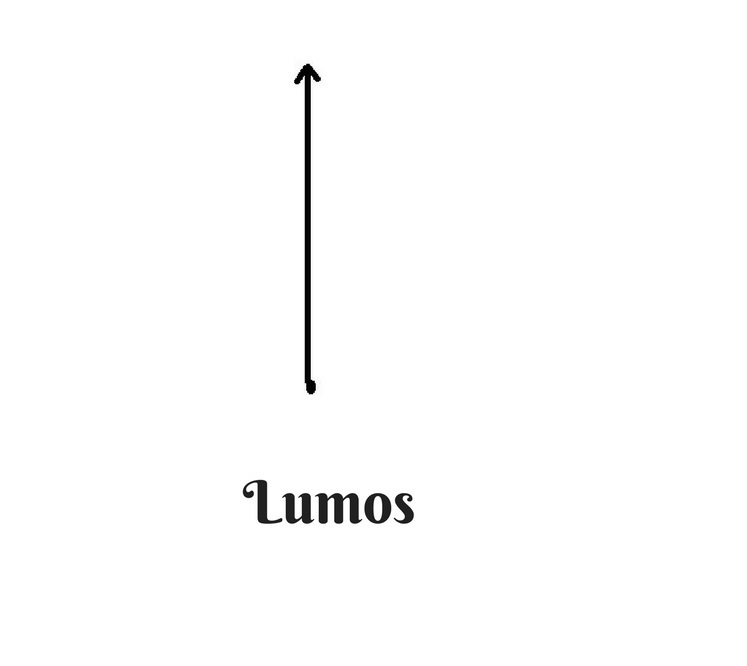 To use the Lumos spell, it’s a simple flick of the wrist upward, in one stroke. What’s the Spell for: To light a dark place. To chop, keep your knife straight and push down into the food with your dominant hand while holding the food steady with your other hand. What’s the technique for: To cut food in uniform pieces to ensure equal cooking time in a pan or oven. This can also be used to cut pieces of food for salads. How they’re alike: The Lumos spell and the chop stroke are both a straight motion. 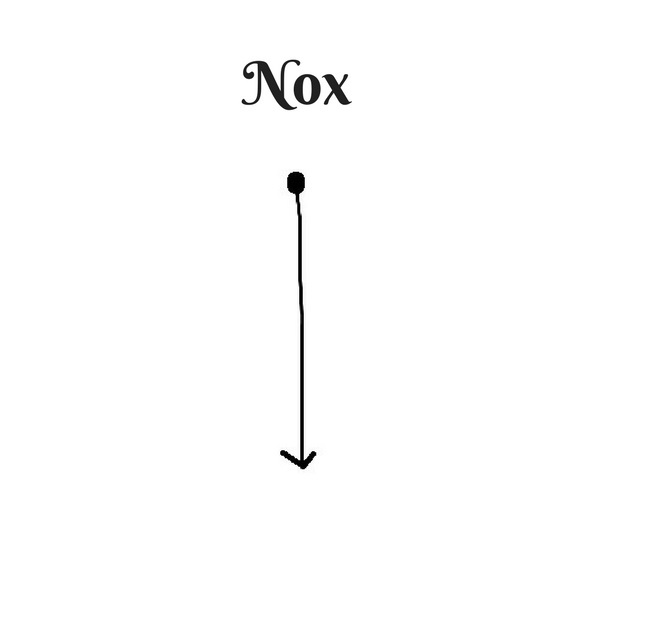 To turn off a light you’ve turned on, move your wand downward. What’s the Spell for: To turn off the light on your wand. Slicing is the motion of dragging your knife through food to cut a thin (or thick) chunk off. What’s the technique for: This technique is usually used to put a large piece of food onto something, like a tomato slice on a hamburger bun. How they’re alike: The Nox spell and the slice stroke are both a straight motion downward. 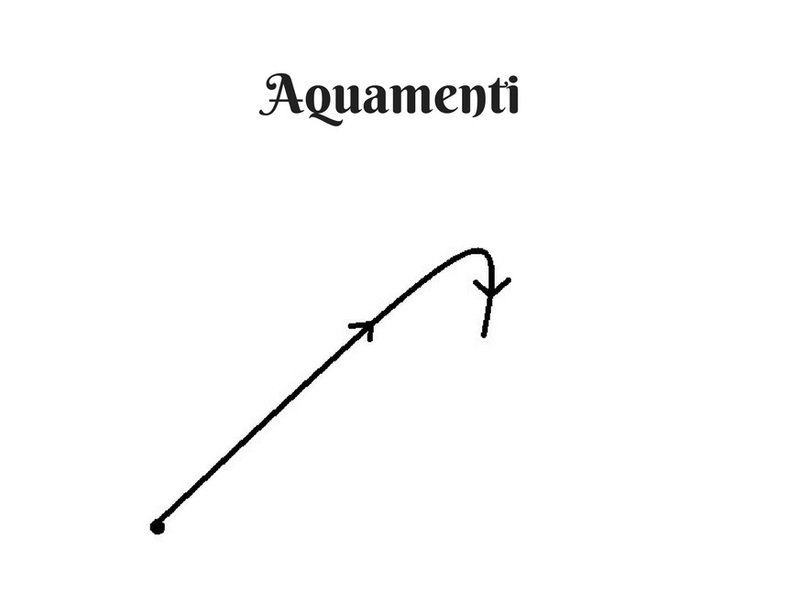 The Auguimente spell is a straight motion up and then a curve downward. What’s the Spell for: To summon water. To dice, use the chop method, then turn 90 degrees and chop again. What’s the technique for: To cut food in uniform pieces to ensure equal cooking time in a pan or an oven. This can also be used to cut pieces of food for salads. 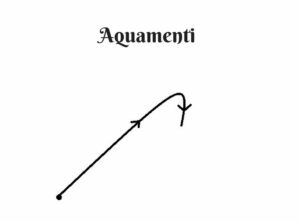 How they’re alike: Both use a motion in one direction, then change direction. 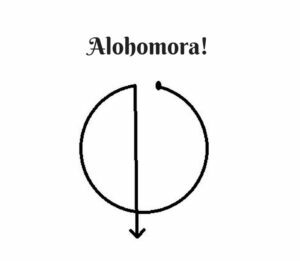 To use the Aresto Momento spell, move your wand up, then down, then up, then down. What’s the Spell for: To stop motion, such as a person falling from a height or stop pixies in flight. Mincing is a very fine chop. The repetition of chopping is what creates such small pieces of food. While holding the tip of the knife stationary on the front of the board, use your dominant hand to move the knife in a swinging motion left and then right over the cutting board. Repeat until you’ve reached the size you were aiming for. What’s the technique for: This technique is used when you want to taste a particular food in every bite, such as garlic or onions. How they’re alike: Both use repetitive up and down motions. 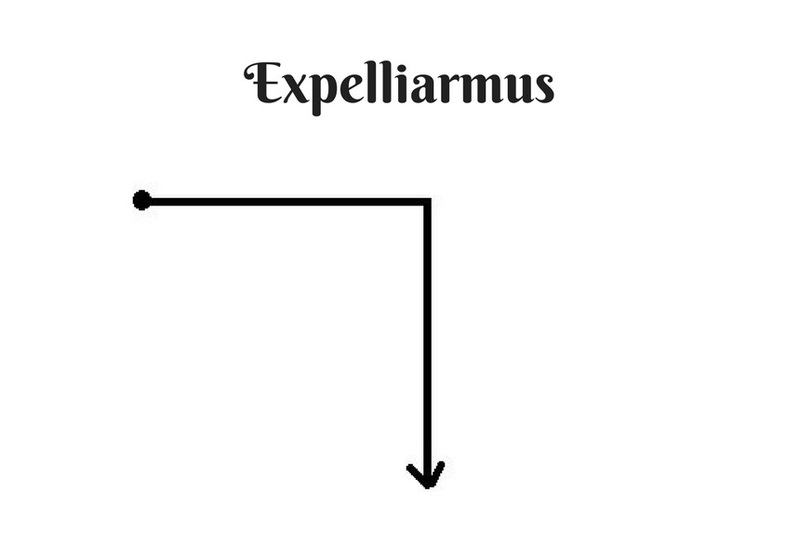 To open any locked door, create a circle with your wand starting at the top. Just before closing the circle at the top, bring your wand straight down. What’s the Spell for: To open a door that’s locked, so you can save Hogwarts. To chiffonade herbs, take the leaves and roll them up like a cigar. Starting on the right side of the “cigar,” cut the “cigar” into ¼ inch ribbons. Move from the top to the bottom, until the entire “cigar” has been transformed into ribbons of herbs. What’s the technique for: To create a garnish for pasta or fancy dishes. 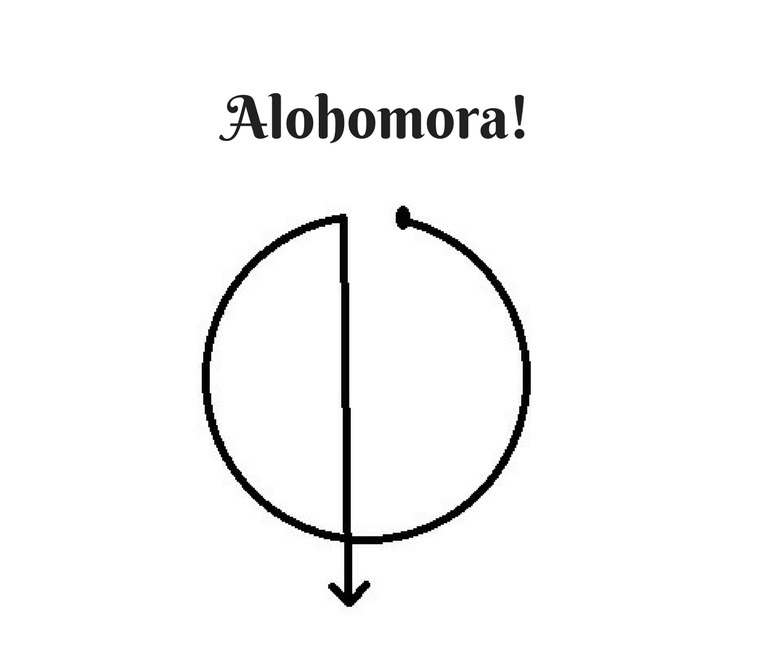 How they’re alike: The Alohamora spell uses a circular motion and then a quick motion downward. With the chiffonade technique, the herbs are rolled into a circle, and then the circle is cut crosswise. 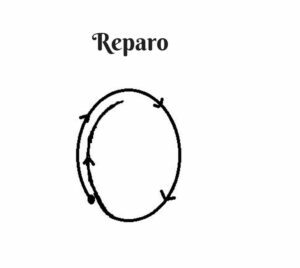 To repair an object, with your wand in the downward starting position, flick your wrist in a circular motion, overlapping and ending back at the top. What’s the Spell for: To fix something that’s broken. Ok, this one’s not technically a knife, but a peeler is safer than using a knife to peel a vegetable. Push the peeler into the skin of the vegetable to make a cut. Next, move the peeler in a circular motion around the vegetable, cutting the skin from the flesh, until all the skin has been removed. What’s the technique for: To remove the skin from potatoes, apples, carrots, parsnips, etc. 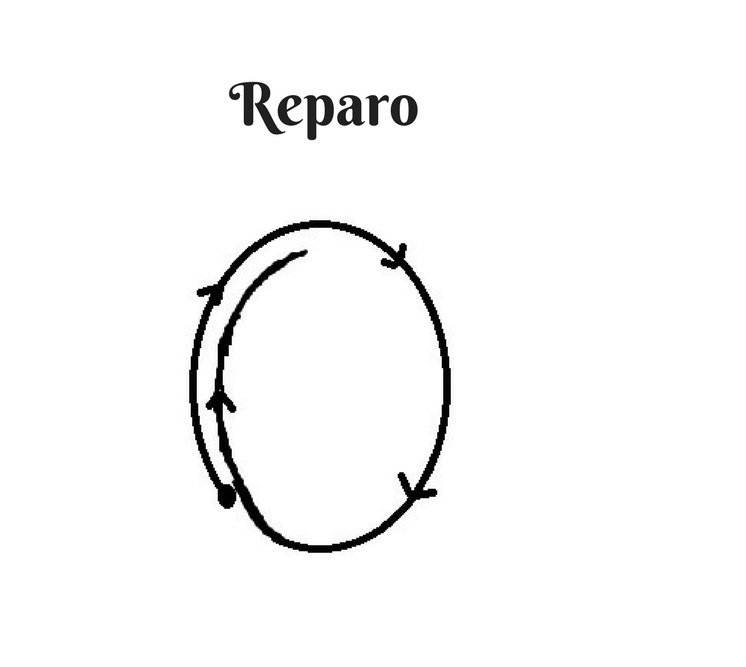 How they’re alike: Both use an overlapping circular motion. 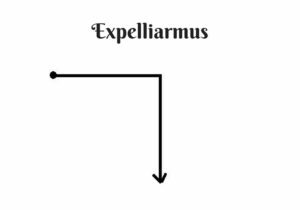 To use the Expelliarmus spell, move your wand quickly to the right, and then down. What’s the Spell for: To disarm a wizard or a witch. Slice food lengthwise. Turn the slices width wise across the cutting board and then slice again into 1/4 to 1 inch thick slices, depending on how big you want the pieces. What’s the technique for: Cut food into long strips. Carrots and peppers are perfect julienned for a veggie platter. Julienne potatoes to make French fries. How they’re alike: Both call for a change in direction. You’ve not only passed your O.W.L.s, you got an Outstanding. Armed with your new found skills, you’re ready to make magic in the kitchen. What’s your favorite spell? What’s your favorite knife technique? Let us know in the comments!